Want to give an update about how the things are working out at the organization to an investor? 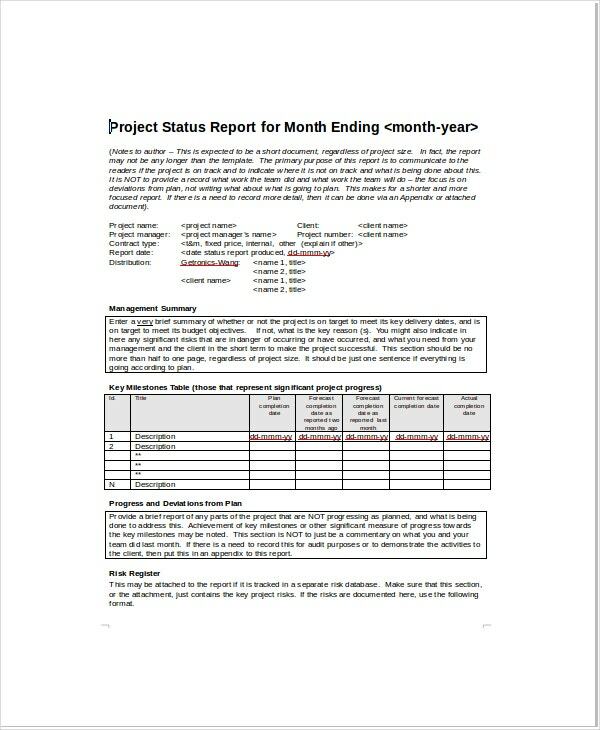 Project status template shows you a timeline against which you are indicated where you stand. You can add what you have achieved or what issues you faced during the term and you want management to pay attention. You can also see Project Road Map Templates. 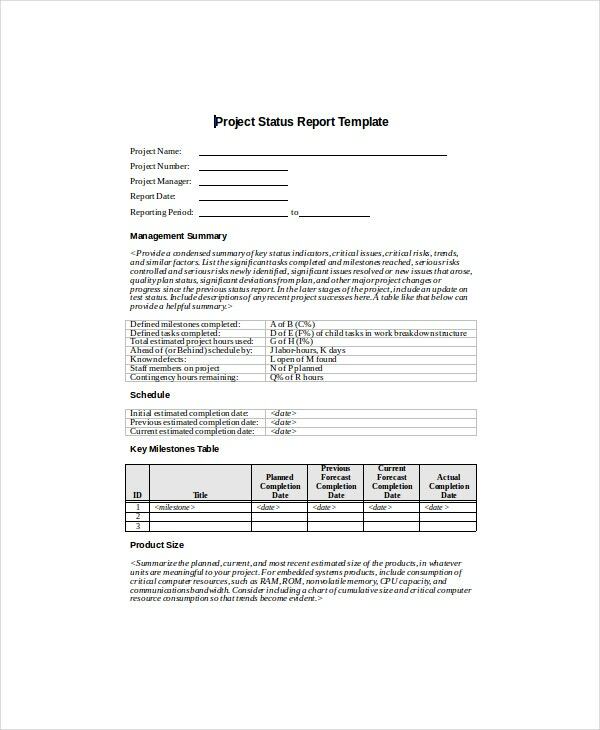 Use this project template to indicate the project progress. View the sample examples of the templates that have been used by various other companies. 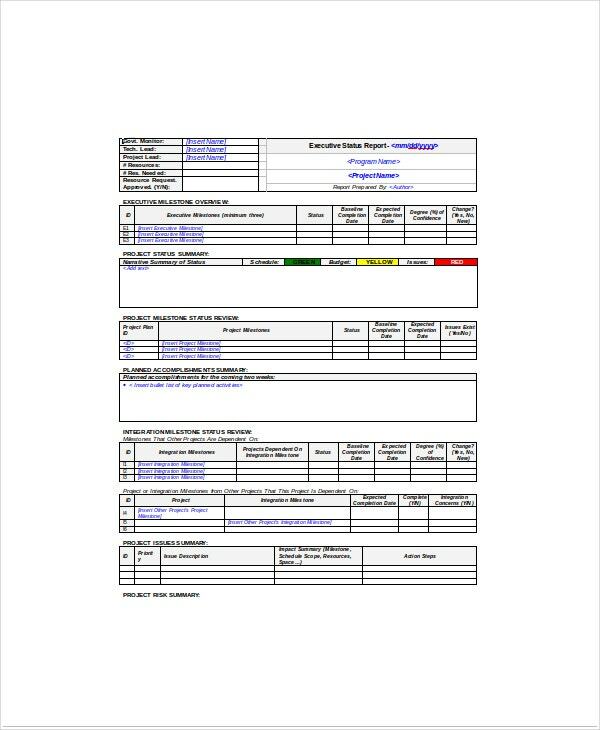 Save yourself from preparing a status report right from the scratch with the help of these templates available in variety of format options. When it comes to project statuses then the best thing one can do is keep a track on the status of the summary and how it progresses. The summary status deals with how the summary is made, how much of the summary is made, how much is left incomplete, the quality and the quantity of the summary status, and the progress that has been made. The summary is the most important part of the project and hence to keep a check on the status of that is very important. 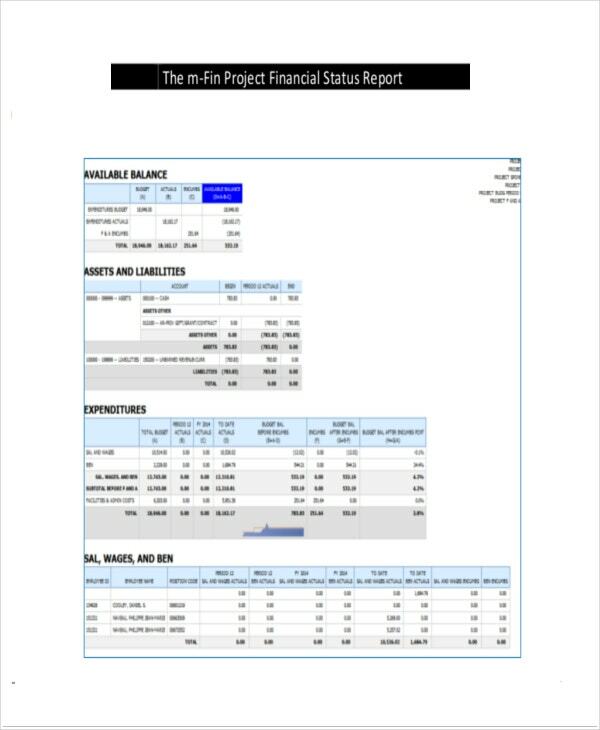 You can also see project financial template. The work status of the project refers to the completion or incompletion of tasks, what are the tasks left to be done, how much of it is allotted to which member, the status of distribution, pace and work, everything is mentioned in the work status of the project. 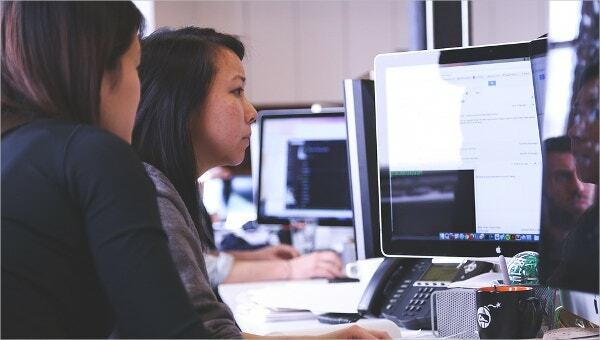 Since the work status deals with keeping the schedule perfectly on time, hence it acts as a regular update as well as a check upon the employees and staffs. The budgeting and financial status of the project needs to be kept in mind. 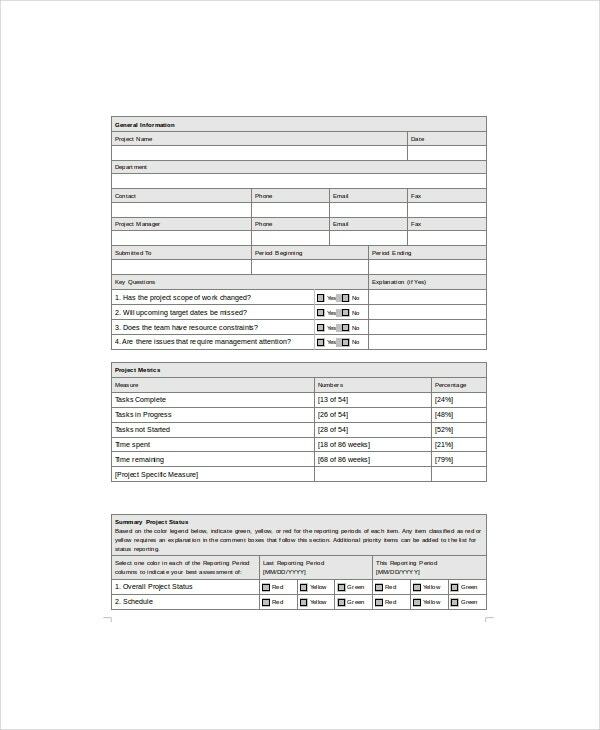 When it comes to budgeting, this financial status template helps in keeping a record of the profit and loss of the projects previously. It gives a rough estimate on the amount of money that needs to be spent on the project and the estimate of the amount of money already spent on the project. With the help of financial status templates you are spared of spending extra money on things that are not necessary. > How is it going to be Beneficial if I use Project Status Templates? > Who can use Project Status Templates? 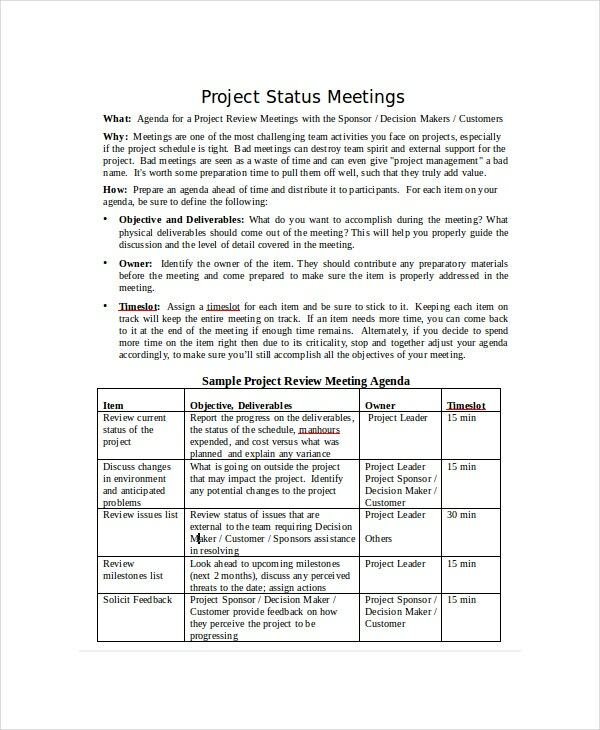 Anybody making a project in a team can use a project status template to keep all their team members updated. 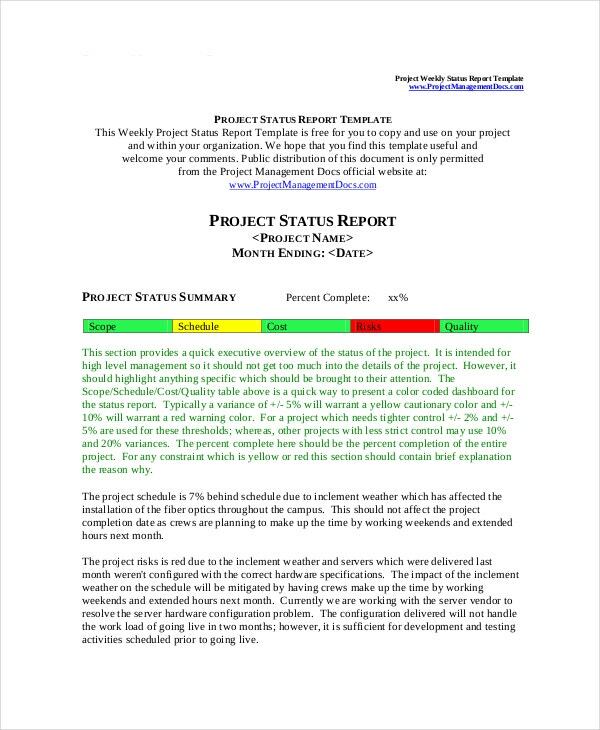 Any agency or startup company is free to use project report template without any hassle. > Is it Easy to Create your own Project Status Template? It is very easy to create your own project status template. You can use an excel sheet for the financial status reports, you can use a word document for your work status report. You can use bullet marks to make your status reports look organized, professional and neat. With the help of the sample example project status template you can take care of the format if you do not want to create one on your own. 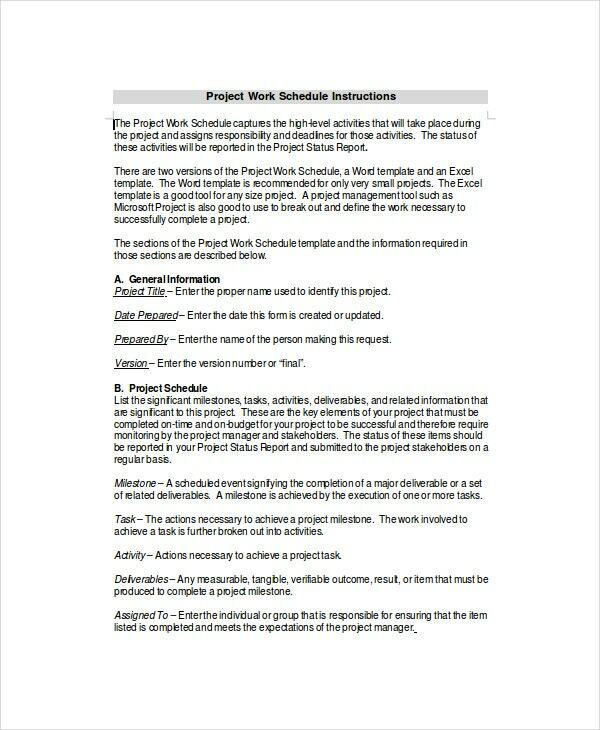 You can also see Project List Template. Our templates are 100% accessible by any user freely, when it comes to successive response, then we have got many good responses for our designs and formats. The formats available in our document types are PDF, PDH, and PSD format. We also have Excel spreadsheet format and word document format. Our documents are easily printable and since they are compatible with all type of browsers, they can be easily attached to any kind of online document.